Our service includes on site surveys and full installation with removal and disposal of old oil tanks. 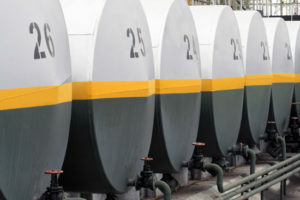 We can supply and fit plastic or steel tanks, single skin or bunded tank and will be happy to advise you on the most suitable oil tank for your installation. Barnes Oil Tank Services are OFTEC accredited and we are experts in this field. We will offer free and unbiased advice concerning location and choice of tank in line with current building and safety regulations. All our oil tank installations are fully guaranteed. We also offer commercial diesel tanks and fueling pump systems repairs. We offer a broad range of diesel tanks for agricultural applications and machinery, we stock tanks from leading manufacturers such as Kingspan, Titan, Environmental and Harlequin. 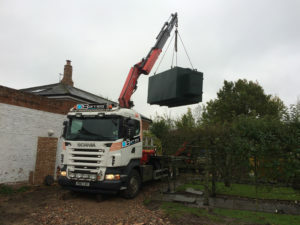 Barnes Oil Tank Services Ltd is the leading specialist in oil tank installation, repair and removal of oil tanks from home, agricultural, factory or construction sites. An OFTEC registered company with fully guaranteed service and 24 hour oil tank emergency help. Contact us for all your Oil Tank Installation Cambridgeshire and the surrounding area.